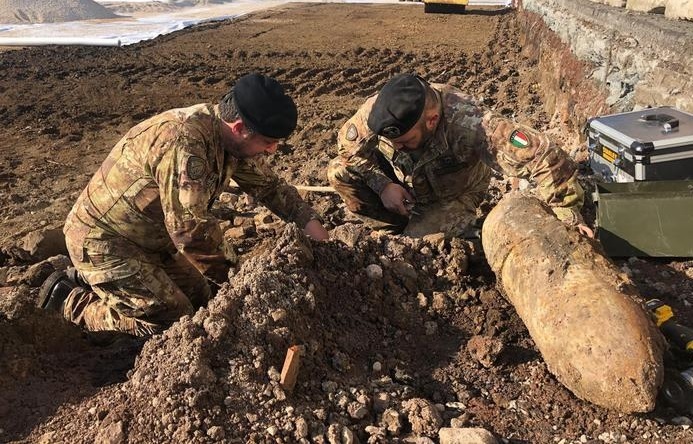 Rome’s Ciampino airport reopened on Thursday evening after flights were suspended and a terminal was evacuated when three World War II bombs were discovered during construction work. The unexploded bombs were unearthed during maintenance work on a tarmac. The bombs weighed a combined 150 kilograms, including around 75 kilograms of gunpowder. Rome’s airport operator, ADR, ordered the evacuation of a terminal and the suspension of all flights while bomb control teams worked to dispose of the explosives. Around 750 passengers as well as airport workers were evacuated from the terminal building. Flights were either delayed or diverted to Rome’s main airport, Fiumicino, during the closure. The airport resumed normal operations late on Thursday. The bombs were of German origin, according to local media. Ciampino airport is a hub for budget airlines, such as Ryanair, as well as many private jets.